You must be active, even aggressive, in pursuing the will of God for you and yours. 1. We are involved in a battle, both external and internal. 2. Our enemy does not fight fairly, but our God is greater than he is. 3. The mature believer realizes that we have a role to play in our spiritual progress and success. 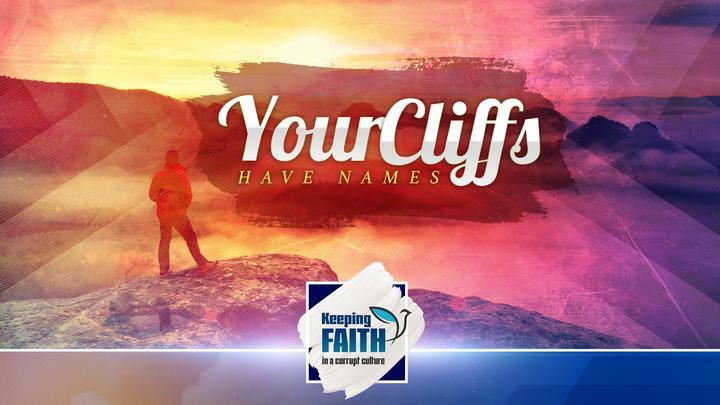 We each need to climb our cliffs to make progress and those cliffs have names. 4. There are no guarantees even with faith. 5. The desire for confirmation or a sign is a sign of unbelief not faith. 6. Sometimes God does not act on your behalf until you act. 7. Your action can have a ripple effect.